viewing under unfavourable lighting conditions, in the twilight hours, as well as under stage lighting or floodlights. only the finest materials and colors and matches virtually any clothing and occasion. especially when light incidents from the side or sparkling reflections on the water try to diminish your viewing experience. Phase Corrected Prisms - Reduces chromatic aberration enhancing coor rendition. AquaDura Lens Coatings - Protects the lenses causing water and oil to bead off. 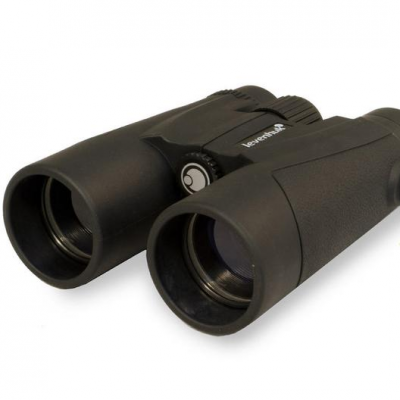 Aluminum Alloy Chassis - Makes these full size binoculars light weight and durable. Water/Fogproof - Nitrogen purging provides optimal water and fog proofing. Closed Bridge Configuration - Provides stablility and balance. Protective Rubber Armor - Slip resistant and makes them virtually shockproof. Twist-up, Click-Stop Eyecups - Blocks out stray light and adds comfort for eyeglass wearers. Center Focus System - Lubricant free system with PETP-Discs provides smooth movement. Lifetime Warranty - Leica stands behind their product and warranties your binoculars for life. Leica binoculars bring a limited lifetime warranty with them and offer exclusive Pick-up Service is quickest and easiest way to send in your Leica product for service. package the device and enclose your warranty card to your repair order. This service is free of charge under warranty. action at hand, our Lifestyle & Leisure products are your perfect accompaniment, allowing you to encounter unforgettable moments intensely and vividly.